A review from 2008 – An oldy but a goody! 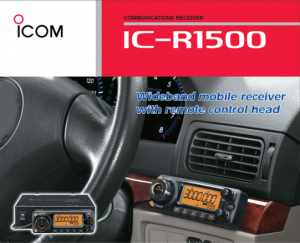 The Icom IC-R1500 remote head/PC control DC – daylight receiver is one of four models currently available from Icom, a well known and much respected electronics manufacturer in Japan. 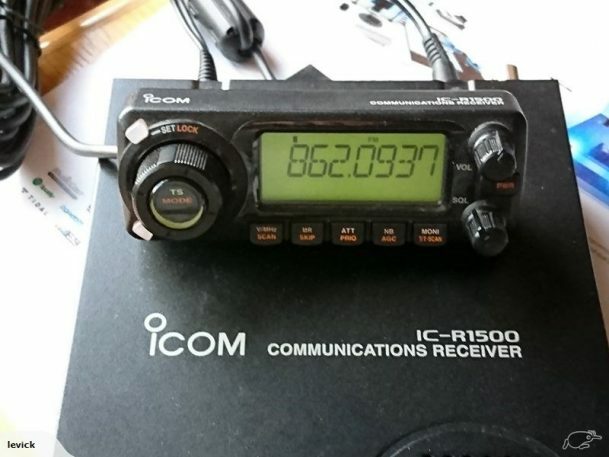 Many amateur radio operators swear by Icom gear and my previous experience with Icom equipment has included the R5 and R20 handheld scanners, the V82 amateur 2m handheld and IC-P7A 2/70 mini handheld as well as the monster R8500 wide-band receiver. 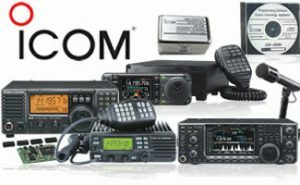 All of my previous experiences with Icom have been very enjoyable and about the only thing I can say is that their gear is very different from your average Uniden or Radio Shack scanner and so if your use to that sort of equipment then be prepared for a fairly steep learning curve with the R1500. * 12 V DC power supply – this is quite small and seems to work fine. * USB Cable – this is quite short and Icom don’t recommend the use of other USB cables, I have tested it with a good quality 20M USB cable and it still seemed to work OK. 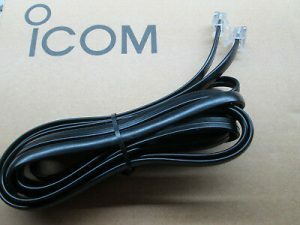 This might be a good option for somebody who wants to mount the R1500 unit away from the computer and use a shorter coax cable for less signal loss, maybe in a roof or somewhere like that. * Test aerial – This is a telescopic whip on with a base that has double sided tape and a few meters of coax, I used it for a while and seemed to work OK but you really need to use an external aerial to get the most from it. * Software / driver CD – This has the drivers and the Icom software. The software in general is good but a few of the features seem to not quite work as they should, the scope feature seems to cause the radio to drop its audio and the record feature does not work at all, if these are issues with the software or I have not got them setup right I don’t know. * Remote Head – To me this is the best thing about the radio and works very well with it. Not all the features that you can use via the PC are supported on the remote head but there are enough to keep you busy for quite a while. The first step to getting the R1500 working with a PC is to install the software and driver that comes on the enclosed CD, this is a simple process for anybody who has ever installed software before and only takes a couple of seconds to install. When you connect up the R1500 to the computer (in my case a laptop) using the USB cable you are asked which port it is on, once you set this you are away and can explore the software and the many features it offer. The R1500 software seems to work very well and has a lot of features. 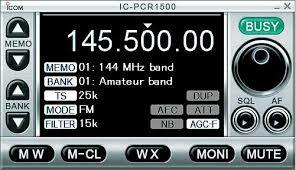 I have programmed in the 360 channels I normally have in all my radios, one thing is that Icom have finally got the software right this time as far as programming goes, you can now import/export your files in CSV format so it is a simple copy / paste job, unlike the software for the R20 which you had to manually type in everything. Each bank can have 99 channels but you can finally have multi-bank scanning which makes it great for people like me with heaps of channels they want to scan. My normal test of scanning my 360 VHF / UHF channels has shown that not a single channel has had any issues at all with lockups or rubbish from my laptop getting on to the radio, if only I could say the same for my 396T which has quite a few issues when used near my laptop, especially in the UHF band between 470MHz and 490MHz. I have also run a search of the following ranges to see if I get any problems with lock ups, here’s the results using the internal test aerial. As you can see above it does lock up on some channels, thankfully none of them carry traffic I want to listen to so I am not fussed about it. The UHF channels above where it locked up were around the 408 MHz area and the 470-490 MHz area. One of the best features I have found is the 25 channel multi mode monitor; basically it allows you to program 25 channels and watch on the screen as they become active, you then simply click on the active channel and you hear the audio, I think I am going to get a heap of use out of this feature, I was using it last night for a while and it was really good to be able to see what channels were active and simply click on them and hear the audio. I tried a little bit of HF using the laptop to control it but I was getting too much RFI from my laptop to make it worth listening. The remote head works very well and that’s how I use it most of the time, as it has a 3.5m cord so I can leave the main body of the R1500 beside my bed and just move the head around depending on where I am sitting. Setting up the R1500 in my car, which required the purchase of a $20 cable to power it and taking it to a hill top in Launceston really showed what a versatile receiver this is. Running my first test of scanning my 360 VHF / UHF channels I have programmed in to the R1500 with the mobile aerial didn’t show any where near as many problems as I was expecting or what the 396T has up there with even it’s normal aerial let along on the external one. I only found 4 channels with problems and they were not any ones I really listen to that much. So overall it seems to work quite well and I am very happy with it. I also had a bit of a listen to HF with about 20m of wire hanging between my car and a tree up there and it seemed to work ok, I did notice some broadcast band signals between 2MHz and 30Mhz but I guess given where I was that is not really unexpected. I have been using it at home this afternoon and running it side by side with the 396T scanning the same VHF / UHF channels (no trunking) shows it’s scan speed is around 40 channels a second and that I am picking up so much more then the 396T does. 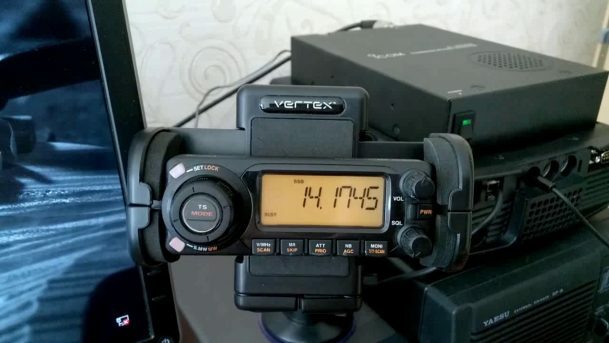 This radio was purchased as my do it all radio and has to last me a few years so I was looking for the best radio that I could afford, I think I have found it. One strange thing I have noticed is that you have two totally different sets of memory, one when you are using a pc / laptop to control it and another when using the remote head, when using the different control methods you can only access the memory for that mode, this means you have to keep two different memory sets updated with information if you want to change info or add new stuff. When you connect up the USB cable you can read / write the “internal” memory that is used with the remote head and make changes but you can’t scan the channels, only the ones in the pc / laptop file. So over all I am quite happy with it. 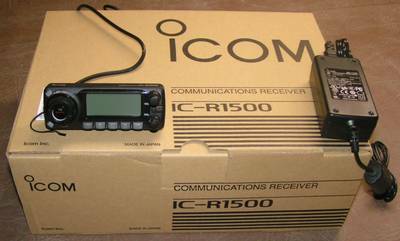 Icom seem to have taken the best features of the r8500 and the R20 and put them all together in to this package. The software works very well and I can’t find anything I don’t like about it so far, it is full of options and it will take me quite a while to come to terms with it all. 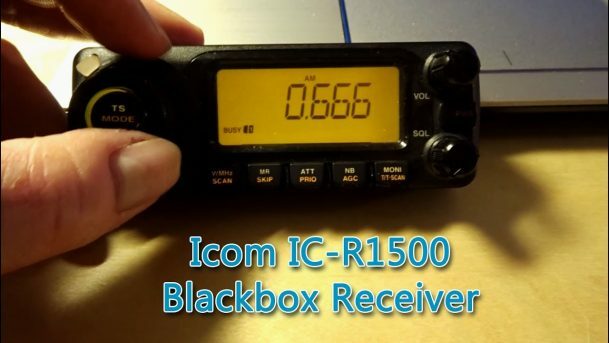 Sure it is not quite to the same level as an AOR 5000 type radio (but it is close) and some people might not like the idea of having a radio that needs a pc to use some of the features but to do most things you can use the remote head. I really do think that I have finally found a radio that suits my needs. 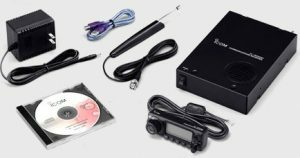 The VHF /UHF performance is great for my needs and is better then my Uniden 396T. I have not had much of a chance to use HF on it yet but having a bit of a listen to some HF channels this morning has shown it is capable of picking them up fairly well, 8867KHz and 5643KHz are two I have been getting very well. And i confirm icom it’s top ! !